7 mins California is the second biggest consumer of oil in the U.S. after Texas. 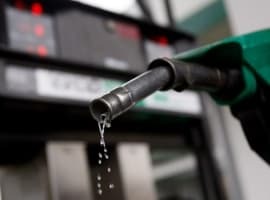 The Kharg oil terminal in Iran has increased its crude oil loading capacity to 8 million barrels per day (bdp), three times the current Iranian crude and condensate exports, the managing director of the Iranian Oil Terminals Company (IOTC) said over the weekend. According to official data quoted by Iranian economic daily Financial Tribune, Iran’s exports are currently more than 2 million bpd of crude oil, plus another 600,000-700,000 bpd of condensates. The Kharg oil terminal crude loadings account for 95 percent of Iran’s crude oil exports, Pirouz Mousavi, the managing director of IOTC, was quoted as saying by the oil ministry’s news service, Shana. Vessel traffic at the Kharg has been rising since some of the Western sanctions against Iran were lifted in January 2016, according to the manager. Energy giants such as France’s Total, Italy’s Eni, and Russia’s Lukoil have also sent tankers for loading at the Kharg oil terminal, Mousavi said. 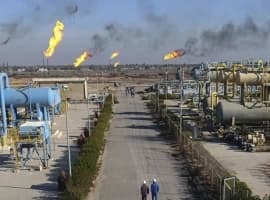 Iran, which was allowed to slightly raise output and keep it at 3.8 million bpd under the OPEC production deal, has repeatedly said that it is looking beyond what it says is a ‘short-term’ agreement, and aims to raise its crude oil production and production capacity. Oil Minister Bijan Zanganeh has recently said that by 2021, Iran would add 700,000 bpd to its overall capacity, with a targeted total capacity of 4.7 million bpd. Zanganeh was hopeful that condensate production would increase from 600,000 bpd to 1 million bpd by March.